Lord Laith Angus Min founded Life Temple and Seminary based on a 'Crafte of The Land' family tradition, passed through many generations of the Cheek and Croyw families. In 1994, Life Temple and Seminary gained our 501(c)(3), making us one of the few Temples in the Carolinas to have & maintain a legal, non-profit status. 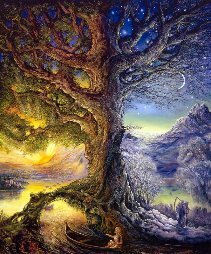 Our beliefs are orthodox in nature and are often regarded alongside other well-known traditional covens such as Ravenwood of Atlanta GA and Tuatha Caer de Shidhe of Greenville SC. This is largely due to Lord Min's steadfast approach to Crafte preservation and his passion for maintaining relationships in the traditional Wiccan Community. His diligent research lead to countless essays, articles and papers that he shared rather willingly. His research & writings continued until 2010, at which time he suffered a prolonged illness that lead to his passing in May 2011. In 2003 Lord Chase Night Smith became the High Priest of Life Temple & Seminary. Lord Night remains extremely active in the Temple as an Elder, board member, and High Priest. 2012 marked the 3rd Degree initiation of Lady Alba Gabrielle; she is our High Priestess. We have active and inactive members in North Carolina, South Carolina. Our High Priest, Lord Night was sired by our founder, Lord Angus Min. 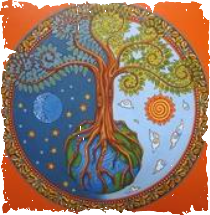 He has a strong passion for teaching & is well versed in Celtic mythology, history & anthropology. He is a skilled Tarot card reader and medium. Lord Night is active in all the affairs at Life Temple and is the counseling elder for Life Temple and Seminary. He currently resides in Eden, NC. Lady Alba, our High Priestess began her studies at Life Temple in 2004. She came to us in search of community plus a structured environment to worship & learn. With close ties to her Sicilian roots Lady Alba has a background in Stregheria (Strega) a form of Italian witchcraft. She was initiated into Craft by Lord Night. Lady Alba over-sees the management of Life Temple, including rituals & classes. Her areas of expertise are business administration & teaching. Lord Raistlin began his studies under the guidance of Lord Angus Min. 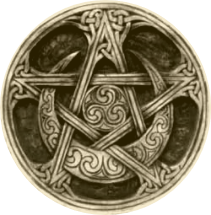 He has spent many years cultivating knowledge about Wicca including tenants, Wiccan laws, and protocol. Although he is currently solitary, he is still a vital part of Life Temple and Seminary, providing his knowledge to assist with classes. Lord Raistlin currently lives in Whitmire South Carolina.